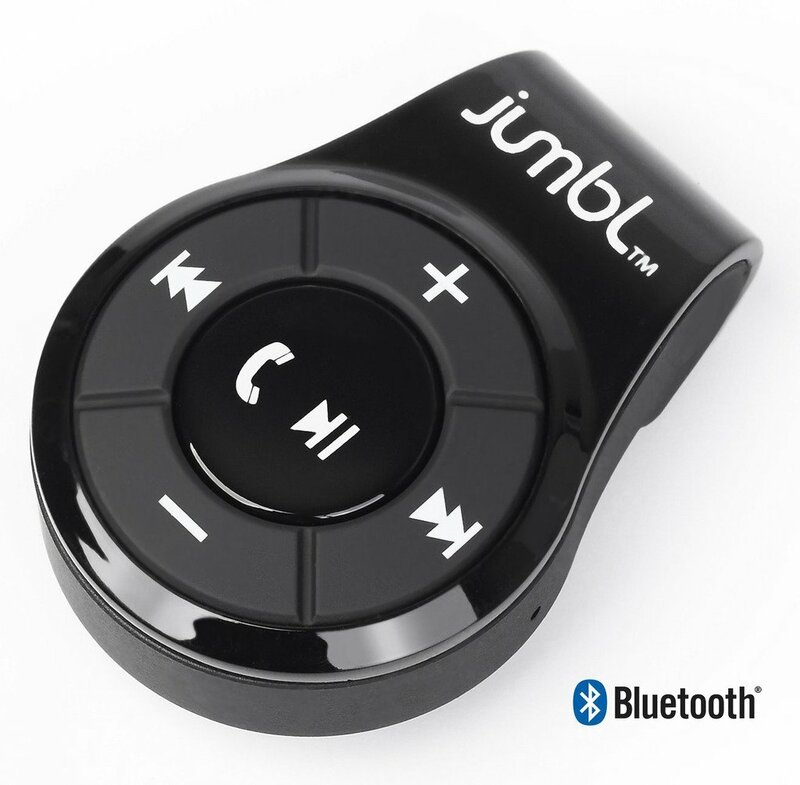 Home › Jumbl Bluetooth 4.0 Hands-Free Calling & A2Dp Audio Streaming Adapter/Receive..
Jumbl Bluetooth 4.0 Hands-Free Calling & A2Dp Audio Streaming Adapter/Receive.. Description If you still have a pair of wired headphones or earphones, you are surely familiar with its drawbacks. Simple things like wire length, wire tangle, and the need to remove your device from your pocket to control it are all little nuisances that add up to a diminished calling/music listening experience. No Strings Attached Being JumblTM, we've got just the solution for you! Our clever Bluetooth dongle converts any standard 3.5mm earphones into fully wireless ones in a snap. This brings you the freedom of wireless range, and smart ergonomic controls enable you many common controls without the need to ever touch the device itself. More Capabilities On Call But the buck doesn't stop here. This tiny device is packed with features and technologies way beyond its size. Enhanced phone calling comes thanks to built-in dual microphones with titanium drivers, designed for echo cancellation and background noise filtration. A nifty clip allows you to attach the dongle anywhere on your clothing for optimal microphone and controls positioning. It also eliminates the hassle of removing your device from your pocket to control your music or phone calls. Features at your Fingertips Big, ergonomic quick-control buttons are smartly laid out on the dongle for most common device controls. Wirelessly and effortlessly start and stop music playback, skip songs, select music, answer incoming phone calls, and redial previous phone calls. This is especially useful when exercising, as it allows you to focus on your fitness goals and not on your device. Our JumblTM Bluetooth adapter even runs as long as you do! On a single charge, the built-in 120mAh rechargeable li-polymer battery keeps you going for 8 hours of music playback, 10 hours of hands-free call time, and up to 150 hours of standby. USB charging cable included.